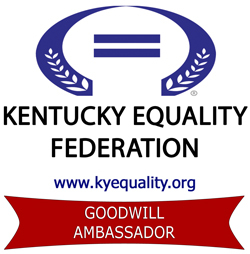 Kentucky Equality Federation honored Scott Robinson as an "Ambassador of Goodwill" on Saturday, April 23, 2016. The award was given by founder Jordan Palmer. Mr. Robinson is currently the show director for female impersonation artists at The Bar Complex in Lexington, Kentucky. Palmer stated: "I think it takes a lot of courage to express the other side of yourself. Seeing it, hearing about it, or being his friend on Facebook could avert teenage suicides for people being bullied or harassed. When you see or hear of people such as Mr. Robinson, who are out in the open and expressing themselves in a positive manner [while providing entertainment], that courage sets a positive example dating back to the Stonewall Inn." Mr. Robinson also assists questioning and upcoming female impersonation artists for the Kentucky Equality Federation (or any other non-profit or NGO), in addition to serving as the Board Chair for the Entertainment Committee of the Lexington Pride Festival and serving on the Board as a governing body. Palmer continued: "Mr. Robinson is heavily involved in the community. Being the person he is, last month or maybe this month, he was taking sandwiches to a homeless person he has seen outside his window. We all need to find that inner part of our humanity, to realize that we are all the same in our hopes, dreams, and the need to be loved." 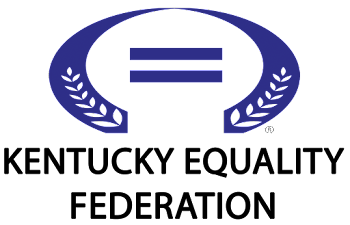 We commit to the struggle for equal rights for all classes of people and reject defining characteristic. We remain ever vigilant against bureaucratic abuses of power, the evils of discriminatory legislation, and every other tool of oppressors, be they individuals, corporations, organizations, or governments. When the laws have not caught up to the moral needs of society, we will seek their modification, pursuant to the creation of a just society. Ambassadors of Goodwill function by a code of ethical conduct based on fundamental values such as honesty, integrity, fairness, inclusion, respect, trust, responsibility, common sense and accountability. The last people the Federation Alliance honored was Scottie Saltsman in 2013 and Karin Wagers-Lewis in 2016.